Our other Supportive MID Auxiliaries, such as the MID-UC Utility Cart help make application process even better. 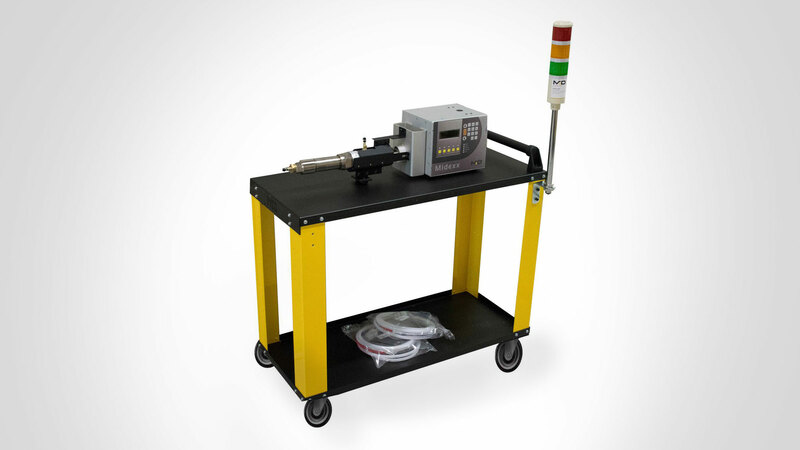 The MID Utility cart is a mobile color platform for MIDEXX™ dispensing systems. When in use with MID series pump-heads color changeover becomes possible with minimal effort and mess. 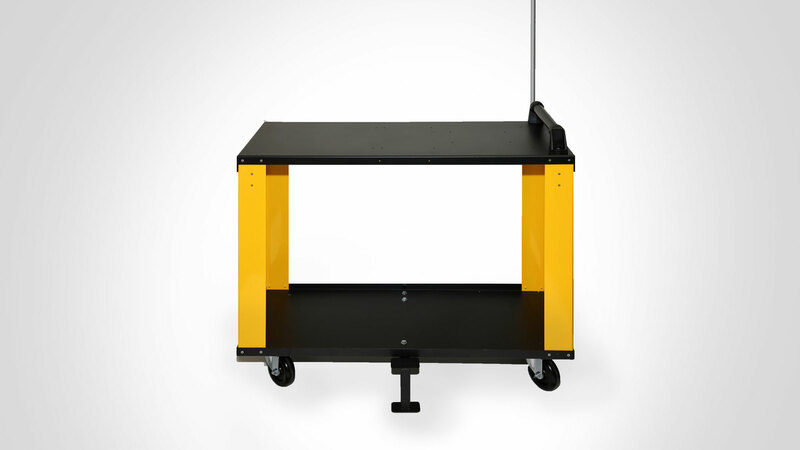 The Utility Cart is ruggedly designed using powder coated steel in order to withstand demanding environments. MID proprietary gravimetric technology enables the system to dispense with extreme accuracy which makes it a perfect dispensing system for low dosage applications.